For a company that’s said to be worth almost $70 billion, an internal report on Uber’s workplace culture depicts the eight-year-old company as a disorganized mess—one haphazardly concocted and operated as if inside a frat house—than the high-tech mobility and transportation company it purports to be. 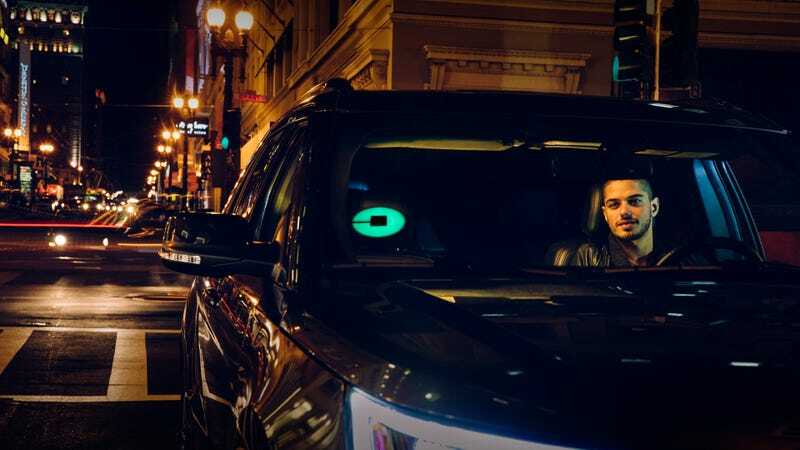 The 13-page report, issued by the law firm of former U.S. Attorney General Eric Holder, was expected to be a damning indictment of the company, whose CEO Travis Kalanick developed into a tech behemoth by way of modernizing the taxicab. Uber’s board of directors approved all the recommendations in a meeting earlier this week. On Tuesday, Kalanick—the 40-year-old firebrand who has long been criticized as the reason Uber’s workplace developed into the problematic environment described in the report—announced he would take a leave of absence, following the recent death of his mother. When he returns, the report—which is based on over 200 interviews and a review of millions of documents—calls for more of his responsibilities to be given to a chief operating officer, a position at the company that remains unfilled. Among other recommendations: having the COO identify and hire people who can fix these problems; have performance reviews for senior leaders; make the board more independent; address employee retention; and in general, do better with diversity and how women are treated. Every big-name corporation has its share of problems, but Uber’s one of the main players in Silicon Valley, and Holder’s report reads like a critique of the tech capital known for its oversized egos and desire to shake-up everything from transportation—Uber’s business model is contingent on a contested designation of its drivers as contractors, not employees—to how we drink juice. Problems with Uber’s human resources department were widely shared back in February, when a former engineer with the company, Susan Fowler, penned a blog post that set the wheels in motion for Holder’s recommendation today. Fowler, for instance, said she shared messages from a boss with HR that clearly appeared out of line, and a HR employee agreed—but then went on to say that “even though this was clearly sexual harassment and he was propositioning me, it was this man’s first offense.” She was told the manager would get nothing more than a warning. By the sound of Holder’s report, there didn’t appear to be much of a HR department at Uber to begin with. Holder recommends hiring an “owner” of HR to draft new rules and update existing policies, something that would seem to exist at any company. Leadership needs to further demonstrate its support by following through on recommendations made by Human Resources with respect to employment-related actions and ensuring that Human Resources is properly resourced with financial support and personnel to properly carry out its role. Uber should consider adopting a zero-tolerance policy for substantiated complaints of discrimination and harassment, without regard to whether an employee is a “high performer” or a long-term employee. Worth $70 billion, has $7 billion of cash on hand, and apparently its HR staff doesn’t have adequate resources to fulfill even the most basic functions of such a department. Uber has long tried to stake itself out as a better example of the Corrupt Big Taxi Cartel; it’s hard to see why anyone ever bought into that claim in reading Holder’s recommendations today. There’s also some (mostly) cosmetic changes recommended. Uber has 14 cultural values—including Always Be Hustlin’ and Principled Confrontation—and the report calls for eliminating ones it described as “redundant” and used to “justify poor behavior.” Bloomberg reported a conference room known as the “War Room” will be renamed the “Peace Room.” That is to say they’re taking steps to change the name of an internal boardroom. So far, Uber has seen employees flee the company, and 14 execs have been either fired or resigned. A separate internal report into specific claims of harassment at Uber led to 20 employees being terminated, after the company received a total of 215 internal claims for discrimination, sexual harassment, bullying, retaliation, physical security, and more. That investigation, Uber says, remains ongoing. Uber may view the release of Holder’s report as a come to Jesus moment that’s sorely needed, but the litany of self-inflicted scandals from 2017 alone are still hard to ignore. There was Kalanick’s position on an advisory council to President Trump; the appearance of Uber trying to break a taxicab strike amid protests to Trump’s Muslim ban; the allegations of sexual harassment and discrimination that launched the internal probe in the first place; the self-driving tech theft allegations at the core of its litigation with Waymo; the design of a secret version of the Uber app to thwart regulators looking to investigate the company; internal tools designed to intensely track Uber drivers who work for competitors; the compensation system it developed for employees that led to a gender disparity; to the way it handled the case of a woman who raped by an Uber driver, and considered internally that a competitor had planted it. What the internal report doesn’t focus on is the bread and butter of the company: its drivers, some of whom sleep in their cars to earn enough pay. To this day, a litany of lawsuits are still asking for courts to rule that drivers must be considered employees—not contractors—and if one ever prevails, it could fundamentally alter Uber. The full Holder report can be viewed below.